The Gurkha Museum in Winchester is the principal source of history for the Brigade of Gurkhas. The Museum tells the story of over 200 years of Gurkha service to the British Crown, beginning in 1814. The visitor experience not only covers battles and campaigns, but the culture, religion and social structure of these brave warriors. 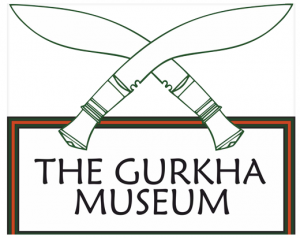 The Gurkha Museum has something to interest people of all ages and is suitable for a family outing. 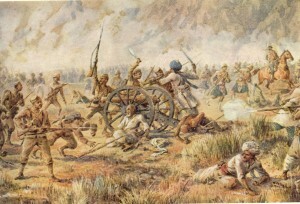 Beside tableaux, dioramas, showcases and panels, it has visual and voice descriptions of the history of Gurkha Regiments, recruiting of soldiers in Nepal as well as the culture of the Gurkha in his homeland. There is also a display commemorating the winners of 26 Victoria Crosses. 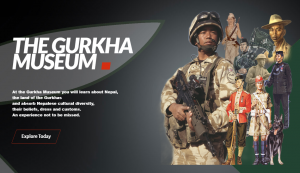 The Museum also hosts a series of lectures and special exhibitions about the Brigade of Gurkhas and related subjects. To view the latest programme please visit the Museum website.